After a LONG delay, we are proud to announce the winner of the first ever KendamaUSA Pro Team Contest. See the video below to see who the lucky winner is. Thanks so much to everybody who participated, we were amazed by the quality of entries from all over the world. Keep your eyes out for the next KendamaUSA Contest on the horizon soon! We would like to thank everybody who has submitted videos into the KendamaUSA contest. 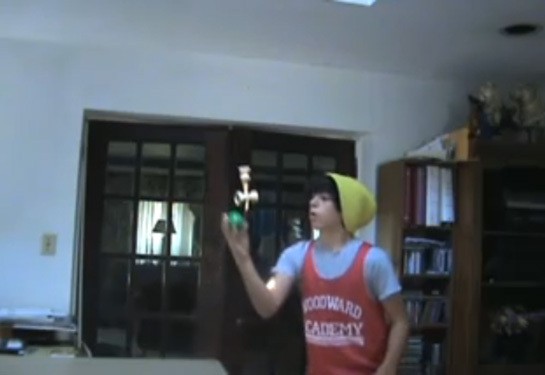 We are blown away at the level of Kendama play we have seen in the submissions. We are still going through all the entries, and looking forward to announcing a winner later this month. Thats right! 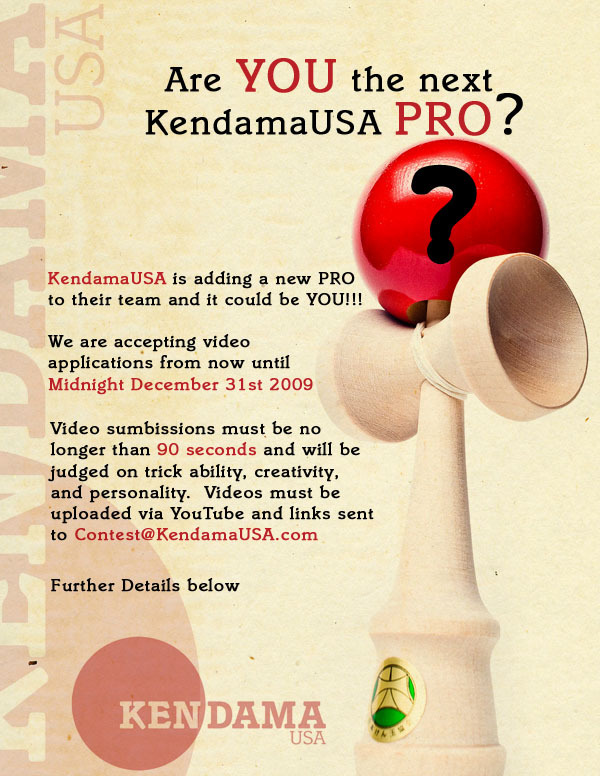 You can bring in 2010 as the next Kendama USA Pro. This contest is open to participants worldwide!! 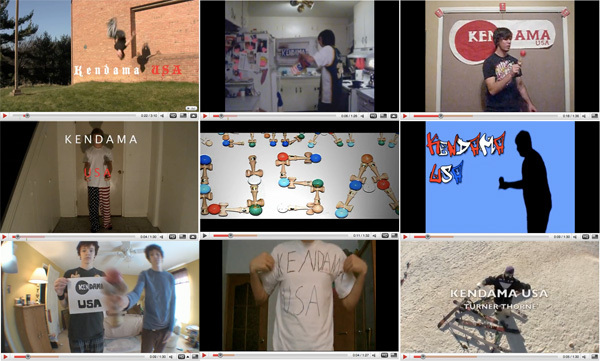 -your own creative way to slate/spell “Kendama USA” at the beginning of your video. Winner(s) will be contacted and announced early 2010.